New Wave Outpost Forum • View topic - Sting Live in Manila! 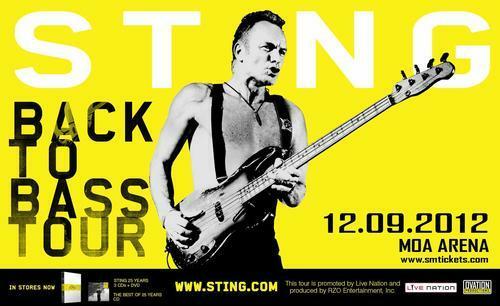 One of the best British rock vocalist of all time, Sting, is coming back to Manila this December 2012 at the MOA Arena. This is part of his Back To Bass Tour - Asia Leg. Ovation Productions proudly presents..